Before we get started learning about YouTube video optimisation, let’s make it crystal clear that YouTube is not your ordinary video sharing site. The statistics are compelling: YouTube is the 2nd largest search engine in the world and is the 3rd most visited website on the internet according to Alexa. YouTube videos also get 500 Twitter tweets per minute. With numbers like that, it’s natural to want a piece of the action. SEO Basics – Make sure you adopt SEO best practices with your YouTube video and channel. Audience – Find a way to engage with your audience, not only within the YouTube community but also beyond. Engage your audience on Twitter, blogs and other social media sites. Quality Content – You won’t go anywhere without quality content and a strong message that connects with your audience. 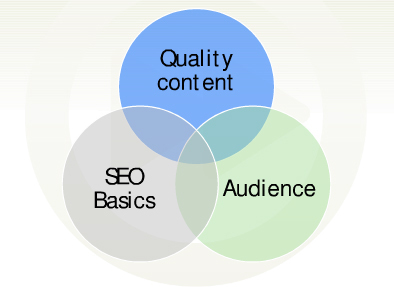 In this article, we will focus mainly on the SEO Basics, i.e. how to optimise your YouTube video to gain the most exposure. However, whether your video will become successful will still depend on content quality and audience engagement. Make sure to include high search volume keywords in your title. At the same time, make your title as enticing as possible, as YouTube is a search engine as well as a social media platform. Balance your title between SEO and simply being yourself. Hint: Did you know YouTube has its own Keyword Suggestion Tool? Go to https://ads.youtube.com/keyword_tool to see how much search volume your keyword gets. Yes! You can add annotations in your YouTube video, and you should make good use of that feature. There are three types of annotations available – Speech bubble, Note and Spotlight. Annotations are a good way to lead your audience to your other YouTube videos. More information on annotations can be found in this article. Did you have a transcript while creating your video? Upload it on YouTube and it will automatically generate closed captions for you. Closed captions are great for your video as they are included in Google’s indexation, allowing your video to be more easily found in Google search. Not having a transcript does not mean that you have to transcribe the video word by word. Google’ machine transcription service can do it for you. The result might not be perfect but could save you a lot of time. While the SEO benefits of tags have diminished over the years, they are still useful to help you reach a wider audience. A common – and huge – mistake is to use the default thumbnail image for their YouTube video. Don’t ignore the importance of a good thumbnail, as audiences are subconsciously attracted to this image before they get around to reading your title. An eye-catching thumbnail can be the difference between getting 10,000 views or 60,000 views. You can find a good article here from Reel SEO if you want to learn more about thumbnail optimisation. You need links. After all, what would you rather have: a video that appears only on YouTube, or one that’s shared across multiple websites and social networks? Another plus for getting your video lots of links is that it will fare better in YouTube’s search algorithm, so make sure you get your colleagues and friends to share and embed it in their own websites and social media feeds. That’s it for now. Hope you enjoyed this post!